Hamilton Hamilton (American, 1847-1928) Figure in a Landscape. Figure in a Landscape. Signed "Hamilton Hamilton." l.l., identified on a label affixed to the reverse. Oil on canvas, 16 1/2 x 26 1/2 in., framed (in a liner). 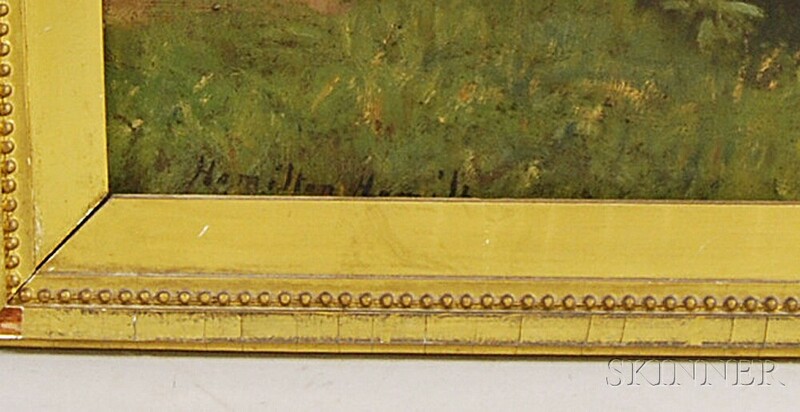 Condition: Canvas deformations, craquelure, surface grime.